Rick Barry's Warriors beat the Bullets in '75 Finals. The Cleveland Cavaliers joined the NBA for the 1970-71 season. In 44 years of existence, they've never won a title. The Atlanta Hawks last won a championship as the St. Louis Hawks, 57 years ago in 1957-58. 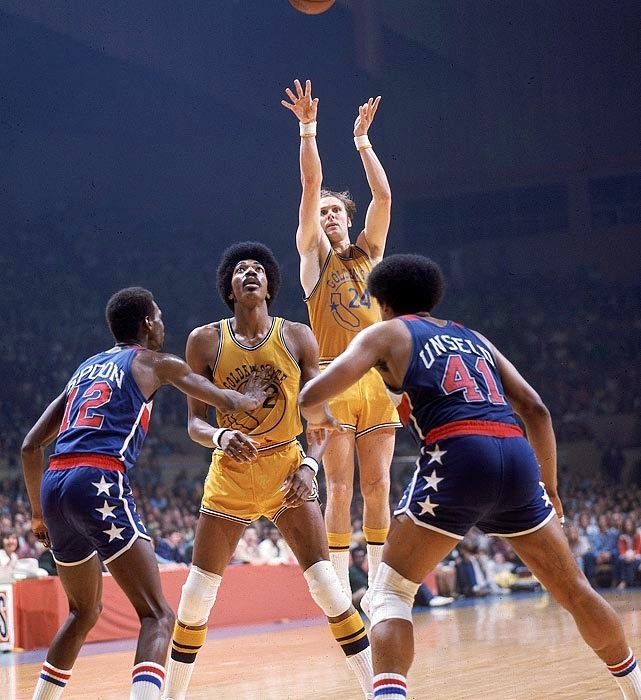 The Golden State Warriors' title drought extends for 40 seasons, back to 1974-75. And finally, the Houston Rockets most recently won it all 20 years ago, in 1994-95 (had the Los Angeles Clippers not choked away a 3-1 lead last round, they'd be in the West Finals with the same 44 years of ineptitude as the Cavs). Combined, the four Conference Finals participants have played 161 consecutive seasons of NBA basketball without winning a championship. Regardless of how these playoffs turn out, it's clearly a break from the mold. What do you think of the new 'Point Break' movie? Have you ever seen a padlock on a car door?